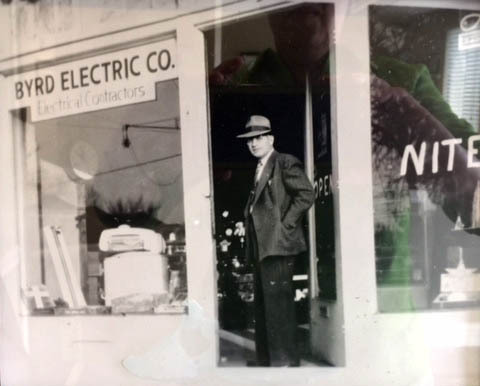 Family-owned and operated for more than six decades, Dennis Electric, Inc. has built a long-standing reputation of delivering quality electrical services on time. Whether the job involves new construction, renovation of existing facilities, regular maintenance work, service work with emergency trucks on standby, or a myriad of other electrical services, the seasoned professionals at Dennis Electric take pride in each project that bears the company name. Charles Dennis, Sr. at his office located at 210 North Evergreen. 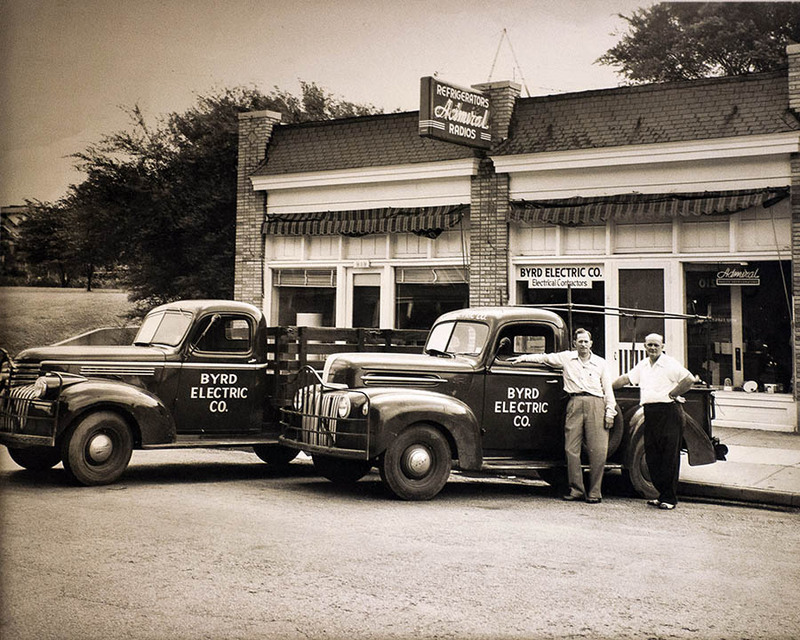 Charles H. Dennis, Sr. purchased Byrd Electric Company in Memphis in 1950. He had been in partnership with R.M. Byrd since 1947 when Mr. Byrd needed help running the business. 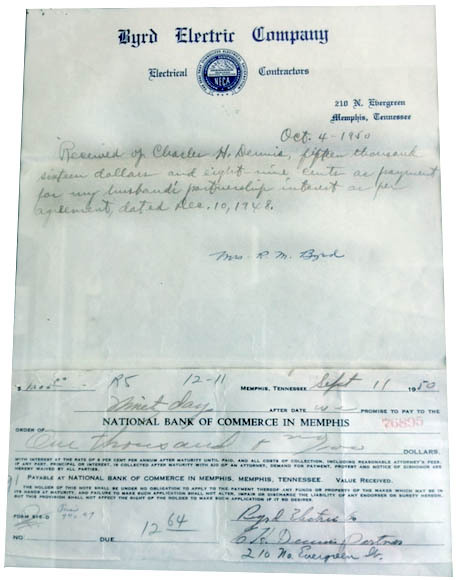 When Byrd passed away in 1950, Dennis came up with the $15,016.89 necessary to purchase the Byrd family’s share of the company. And, on October 26, 1950, he threw in a 1949 Hudson Sedan to close the deal. Four generations of the Dennis family have been actively involved in ensuring the company delivers more than what each client expects on every job they undertake. Charles H. Dennis Jr. joined his father in the family business in 1957 and his five grown children – Robert M. Dennis, Susan D. Crawford, John C. Dennis, Phillip A. Dennis, and Cole H. Dennis began their journeys in the 1970s and 1980s. Most recently, Aaron and Charlie Dennis became the fourth generation to follow in their great-grandfather’s footsteps. The company holds licenses in Tennessee, Arkansas, Alabama, Mississippi, and Missouri. 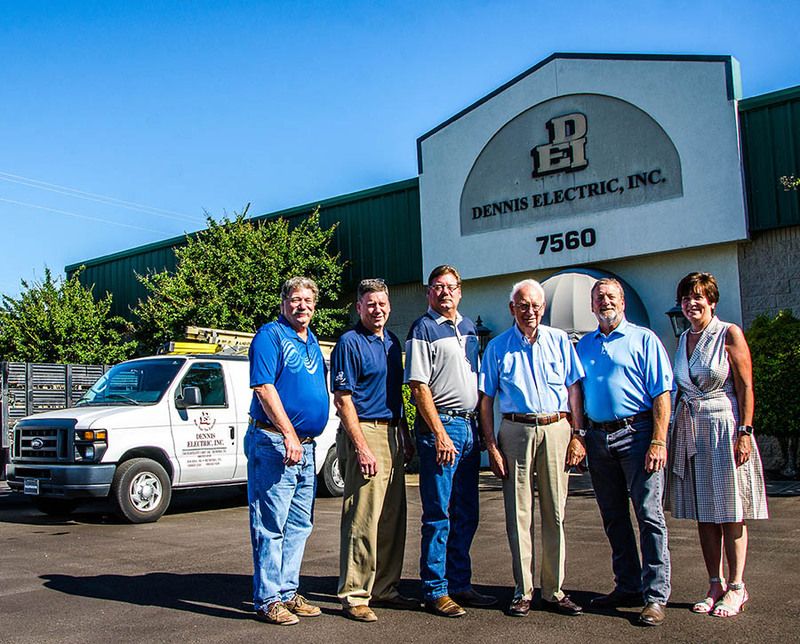 Office locations include Bartlett, Tennessee, and Rogers, Arkansas, from which Dennis Electric has been providing electrical and data center maintenance and support for multiple world headquarters since 1985. The more than 80 employees of the company focus on ensuring the job is done right and within budget. They strive to build professional relationships with each client that will lead to repeat business. Their impressive list of satisfied clients includes names such as St. Jude Children’s Research Hospital, Methodist Hospitals, Baptist Hospitals, Wind Creek Casinos and Hotels, Hilton Headquarters, Accredo, and numerous others.